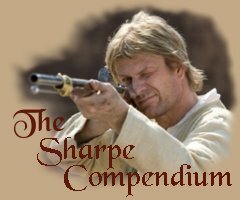 Richard Sharpe looked at the notch in his blade and muttered a curse. His enemy who had done the damage stood in his path, unimpressed. Sharpe examined his foe, seeking an opening. His noble steed looked at him reproachfully. The plow was expensive, and repairing it would cost money he could ill afford to spend. What had that rock been doing in the middle of his field, anyway? As the officer walked his fine bay mare nearer, down the dressed stone path to the field where Sharpe stood waiting, Sharpe recognized him; Lieutenant Colonel Sir William De Lancey, aide-de-camp to the Duke of Wellington. 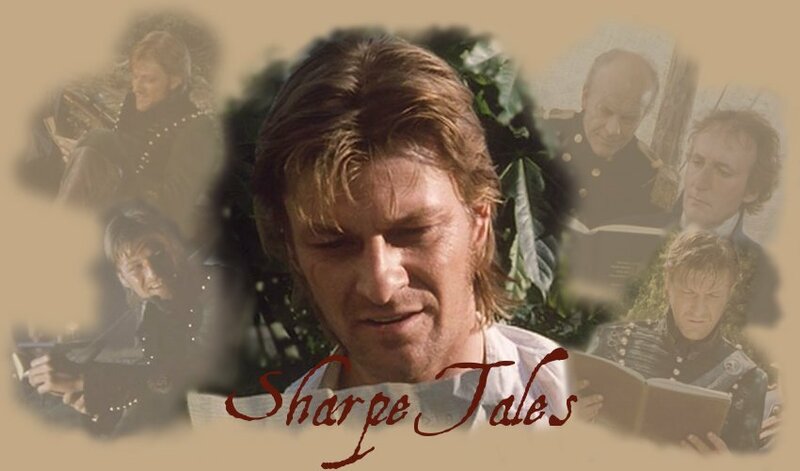 He was a little younger than Sharpe, dark-haired and handsome. Though they had exchanged the odd word in Spain, Sharpe had not known him personally. De Lancey was of the gentry, and no matter how many acts of heroism Sharpe performed, he would never belong in the Colonel's circle of friends. From what Sharpe knew of him, though, he was a better than average officer. But he had wasted his time in coming here. Sharpe was through with soldiering. And what couldn't he do with a hundred guineas? "A hundred guineas?" "In gold." "Just for listening?" "Just for listening." "The Duke wishes you to go to America." If De Lancey had grown two heads, Sharpe could not have been more surprised. He gasped, and for several seconds could think of nothing to say. "But why me? Sharpe asked. "What do I know of things like this? There must be officers already in America who can run an investigation far better than I ever could. Why dig me up from my farm and ship me to the ends of the earth?" De Lancey held up his hand, counting off on his fingers as he named the reasons. "Third, the Duke had a man on the scene, who was looking into the matter. He was one of the few officers that had the necessary rapport with the men to find something out. You knew General Robert Ross?" Sharpe nodded. Ross was a true soldier's general; one of the most respected in the Peninsula, strict but fair, brave as a lion, loved by all who served under him. But five hundred guineas! When would he ever again get his hands on that type of money? And a major's pension for life? But Lucille didn't want him to go. What if he got back and she had taken up with someone else? How could he stand losing her, after Teresa and Jane? She went into the kitchen. The fire was going, and there was a pot of cafi au lait on the stove. On the table was a note. She sat down and read it.